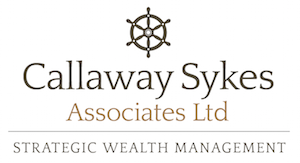 Callaway Sykes Associates Limited are committed to providing discreet, impartial and professional advice, utilising a range of investment, savings, protection, pension, retirement and long term care solutions for individual and corporate clients. Many clients require our help to establish a long term financial plan that can be reviewed. This helps ensure the plan stays on track and adapts to changes in personal circumstances, products and legislation, establishing a long term working relationship. Long term client relationships are at the core of our business and we believe they will ensure the continued success of our company. 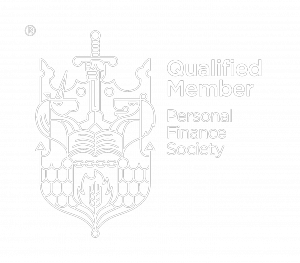 Our advice can be holistic, taking the overall circumstances of a client into account, or it can be specifically targeted at one or more areas as required – such as pension or retirement planning, business or family protection, inheritance tax planning or investments. Other clients prefer advice around an individual piece of work, on a one off basis, with no desire or requirement for a long term relationship. This can be accommodated on request. We can also provide discreet consultancy services or second opinions for clients who value our views and perspective but already have other advisers in place, or existing relationships they do not wish to disrupt. In order to provide a consistent service, standard procedures, contract selection guidance and uniform / standard charges have been put in place for all non “rate driven” contracts such as savings, investments and pensions. Although we are independent and “whole of market” advisers, there tends to be a core of companies and contracts we use. This is because we are familiar with them, used to the way they work and, in some cases, have special deals or arrangements in place for the benefit of our clients. Rate driven contracts such as life assurance and annuities are usually chosen on a whole of market basis where cost is usually the driving factor for suitability. Requirements are always discussed with clients to establish exactly what is needed or preferred, in order to match up client, product and advice successfully. We have an advice process which has been devised in-house, with the specific purpose of being flexible enough to tailor to individual clients, and robust enough to provide consistent, quality advice. The process incorporates the key principles of the Financial Conduct Authority’s “Treating Customers Fairly” (TCF) values. We understand clients are individuals and have different situations and circumstances. Therefore, at a most basic level, we strive to match clients with good quality flexible products that meet their needs and requirements, whilst representing value for money. Modern products are designed to match modern lifestyles, therefore we tend to focus on flexibility and client-friendly “usability”, not just simply look for the cheapest product available – unless that is the client’s specific wish. In other words “value for money and flexible” rather than “cheap & basic”. As far as our charges are concerned, we have devised 4 service levels, incorporating a pricing structure that will suit most clients. Whether a one off transactional piece of work is required or a long term relationship, we have a structure that will fit your needs. We will always agree a fee basis before any work is carried out for any client. We always endeavour to act in the best interest of our clients, we understand that without clients, we do not have a business.